ARCO, Idaho — Just before dusk on an evening in early March, Mimi Rosenkrance set to work on her spacious cattle ranch to vaccinate a calf. But the mother cow quickly decided that just wasn’t going to happen. She charged, all 1,000 pounds of her, knocking Rosenkrance over and repeatedly stomping on her. “That cow was trying to push me to China,” Rosenkrance recalls. Dizzy and nauseated, with bruises spreading on both her legs and around her eye, Rosenkrance, 58, nearly passed out. Her son called 911 and an ambulance staffed by volunteers drove her to Lost Rivers Medical Center, a tiny, brick hospital nestled on the snowy hills above this remote town in central Idaho. Lost Rivers has only one full-time doctor and its emergency room has just three beds — not much bigger than a summer camp infirmary. But here’s what happened to Rosenkrance in the first 90 minutes after she showed up: She got a CT scan to check for a brain injury, X-rays to look for broken bones, an IV to replenish her fluids and her ear sewn back together. The next morning, although the hospital has no pharmacist, she got a prescription for painkillers filled through a remote prescription service. It was the kind of full-service medical treatment that might be expected of a hospital in a much larger town. Not so long ago, providing such high-level care seemed impossible at Lost Rivers. In fact, it looked as if there wouldn’t be a Lost Rivers at all. 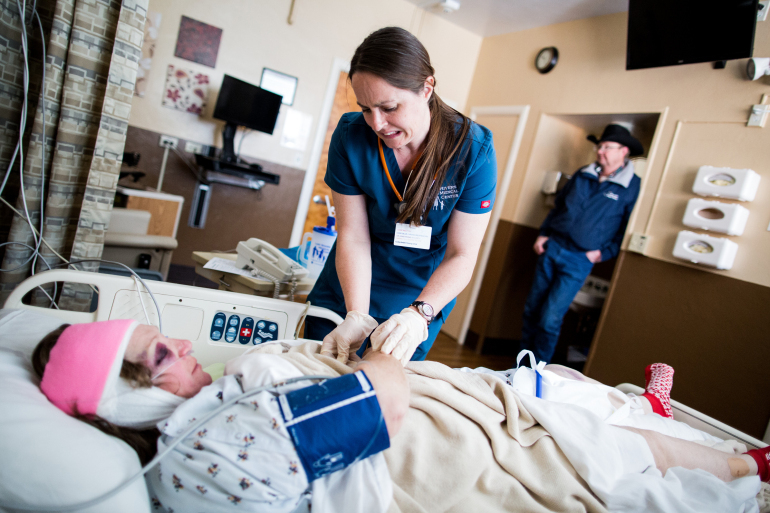 The 14-bed hospital serves all of Butte County, whose population of 2,501 (down from 2,893 in 2000) is spread over a territory half the size of Connecticut. 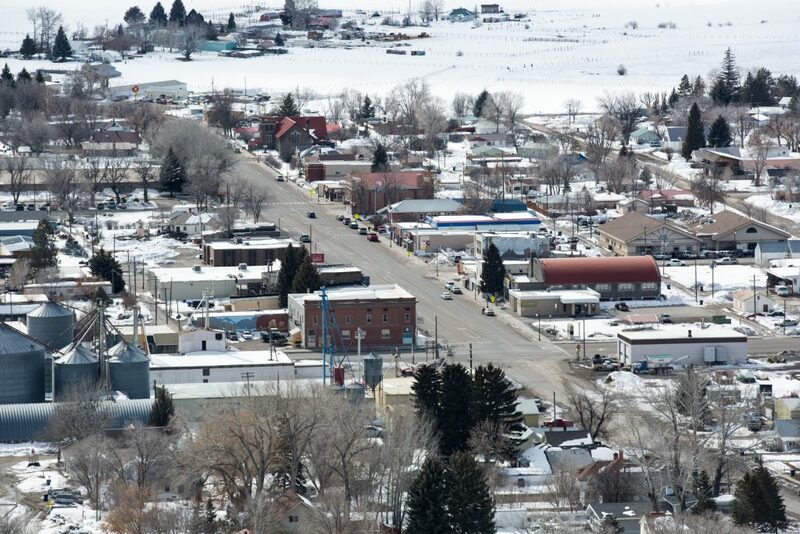 Arco, the county’s largest town, has seen its population drop 16 percent since 2000, from 1,026 to 857 last year. 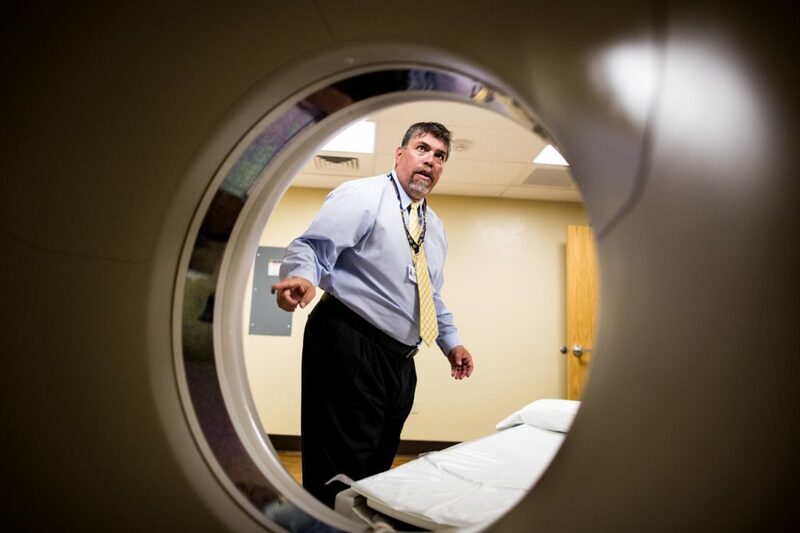 “Bears outnumber people out here,” is how hospital CEO Brad Huerta puts it. The medical center nearly shut its doors in 2013 due in large part to the declining population of the area it serves — almost becoming another statistic, another hospital to vanish from rural America. But then the hospital got a dramatic reboot with new management, led by Huerta, who secured financing to help pay for more advanced technology, upgraded facilities and expanded services. He also brought in more rotating specialists, started using telemedicine to connect the hospital to experts elsewhere and is now planning to open a surgery center and a long-term care rehabilitation wing. If Lost Rivers had closed, the alternative would have been hospitals in Idaho Falls or Pocatello, each more than an hour away across high-altitude prairie. Instead, “I don’t have to go across the desert for hardly anything,” said Rosenkrance, resting at the hospital the morning after the cow attack. 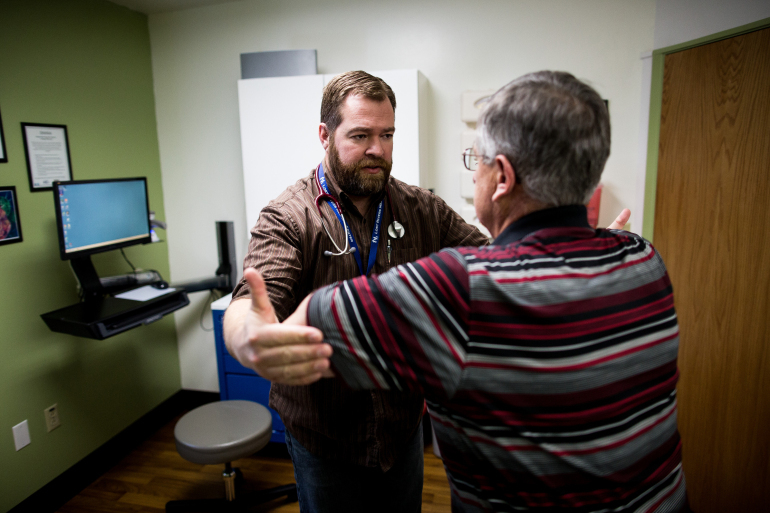 Rural hospitals are facing one of the great slow-moving crises in American health care. Across the U.S., they’ve been closing at a rate of about one per month since 2010 — a total of 78, or about 6 percent. About 14 percent of the U.S. population lives in rural counties, a proportion that has dropped as the number of urban dwellers grows. Declining populations mean a smaller base of patients and less revenue. And the hospitals are caught in a squeeze: Because many patients in the countryside are older and sicker, they require more intensive and often expensive care. Faced with these dramatic economic and demographic pressures, however, some hospitals are surviving — even thriving — by taking advantage of some of the most cutting-edge trends in health care. They are experimenting with telemedicine, using remote monitors to track patients and purchasing high-tech equipment to perform scans and other types of exams. And because many face physician shortages, they are partnering with universities and increasingly relying on nurse practitioners, paramedics and others to deliver care. 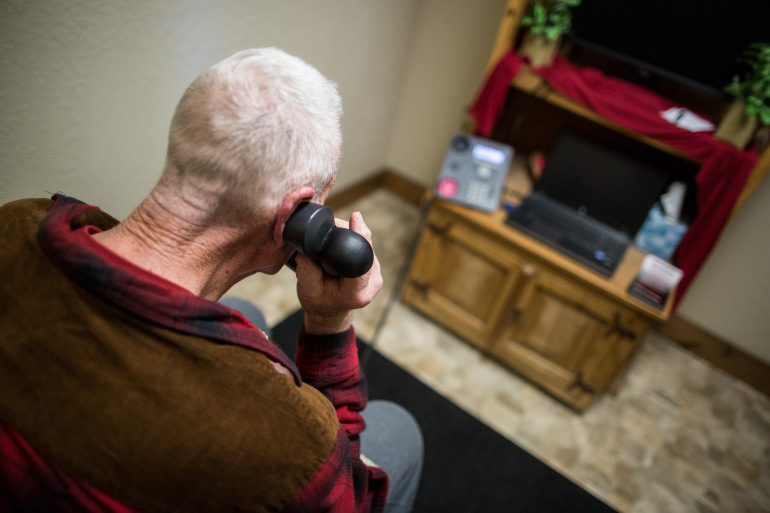 In parts of rural Oregon and Washington, veterans can get counseling through a tele-mental health program. Physicians in Iowa and North Dakota have access to virtual emergency room support. It’s a Tuesday afternoon at Tara Parsons’ flower shop. She cleans up as she waits for customers — or for an emergency call. 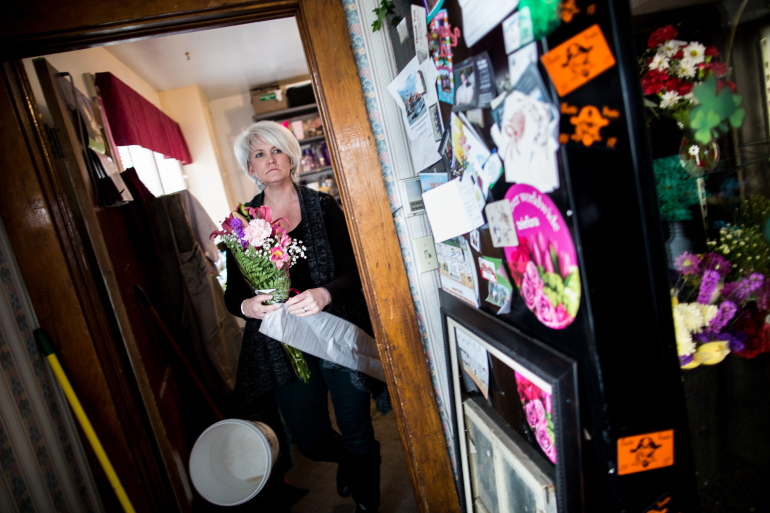 Parsons, a fourth-generation Arco resident, is not just the town florist; she is also the county coroner, a sheriff’s dispatcher and a volunteer emergency medical technician. This afternoon, she is on ambulance duty. The town of Arco was founded in the 1870s as a junction for horse-drawn stagecoaches. 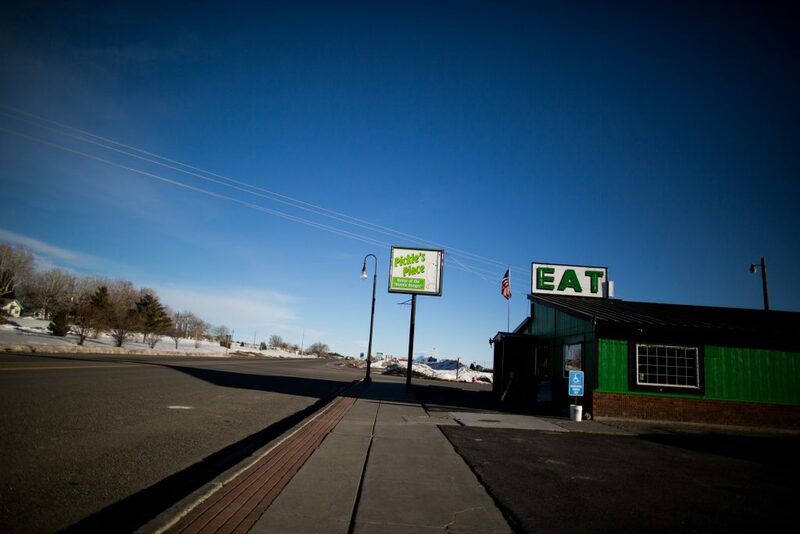 Its quirky claim to fame is that in 1955, it became the first town in the world to be powered by nuclear energy, a credit to the Idaho National Laboratory down the road toward Idaho Falls. Every summer, to celebrate its history, the town puts on a celebration that features a rodeo and a softball tournament. After borrowing money to pay his employees, Huerta campaigned to pass a $5.5 million bond for Lost Rivers. He asked locals if it was worth $5 a month — one six-pack of beer or two movie rentals — to keep the hospital running. They answered “yes” at the polls, and the hospital emerged from bankruptcy. Next, Huerta set his sights on overhauling the badly outmoded facilities. 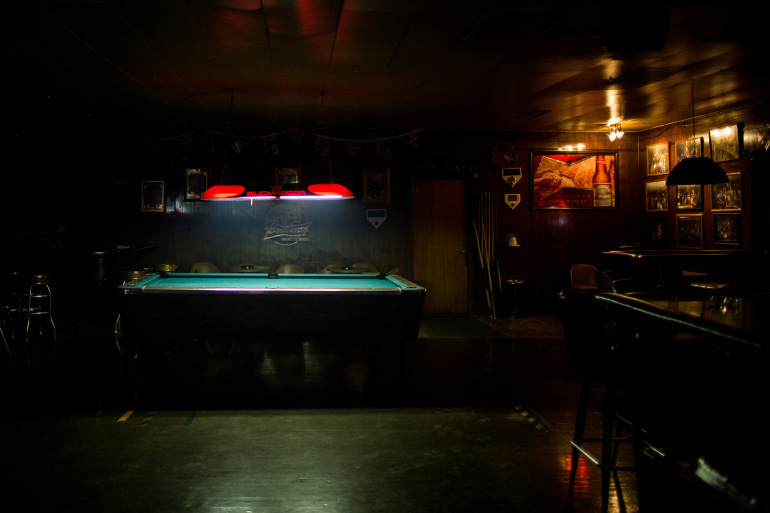 One of his top priorities was the laboratory, which he said looked like a high school science classroom from the 1950s. Arco and Butte County officials hope the local economy will get a boost from a planned expansion of Idaho National Laboratory, which conducts nuclear energy testing and research. Residents also are mounting a campaign to get the Craters of the Moon, a national monument in Butte County, designated as a national park. “It would literally put us on the map,” county clerk Shaffer said. But even if that happens, Huerta knows he can’t expect a big influx of new residents. Rural parts of the United States saw an absolute decline in population following the 2008 financial crisis, a trend that has since stabilized. But there is little or no growth. So Huerta has to concentrate on keeping the patients he has — and giving them a reason to keep coming. And it’s working: The hospital is now making a small profit and has some reserves on hand for future projects. 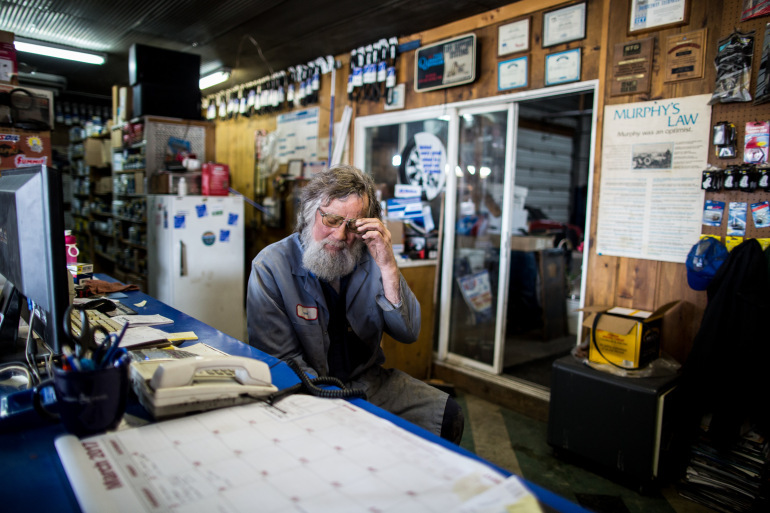 One big challenge for Lost Rivers and many other rural hospitals is that their patients tend to be older — and thus sicker and costlier to treat. 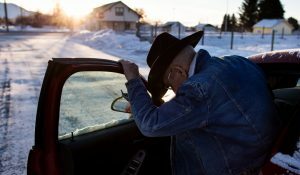 People 65 and older account for about 18 percent of the rural population, compared with 12 percent in urban areas, according to the National Rural Health Association. An older patient base can strain hospitals because Medicare, the public insurance program for the elderly, doesn’t pay hospitals as well as private insurance does. 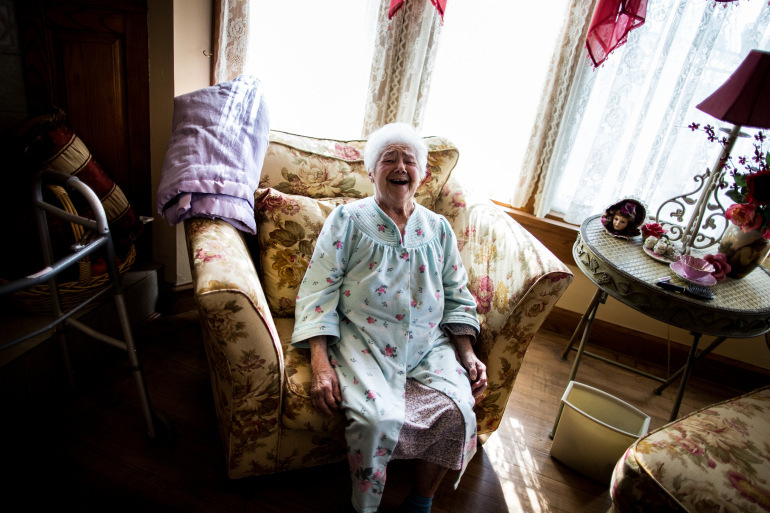 Elderly patients also may need more intense care than small hospitals can provide. Rural hospitals have a higher percentage of patients on Medicaid, the public insurance for poor people, which pays notoriously low rates to providers. At first the Bengal Pharmacy, on the bottom floor of Lost Rivers Medical Center, looks like any other pharmacy, with racks of over-the-counter cold medications, bandages, reading glasses and medical supplies. Shelves of prescription medications sit behind the counter. 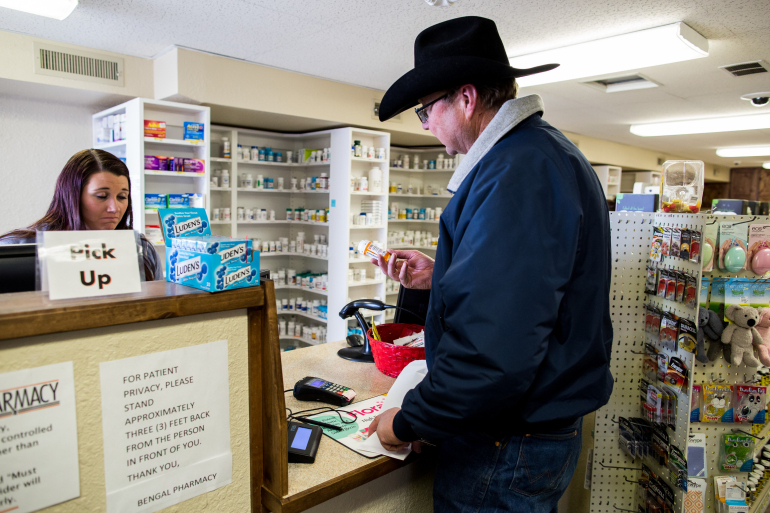 But it has no pharmacist on site; instead, technicians and students from Idaho State University in Pocatello shuffle about, filling prescriptions. Telemedicine is hardly a panacea. The projects often depend on grants or government awards, because rural hospitals’ operating margins are slim. 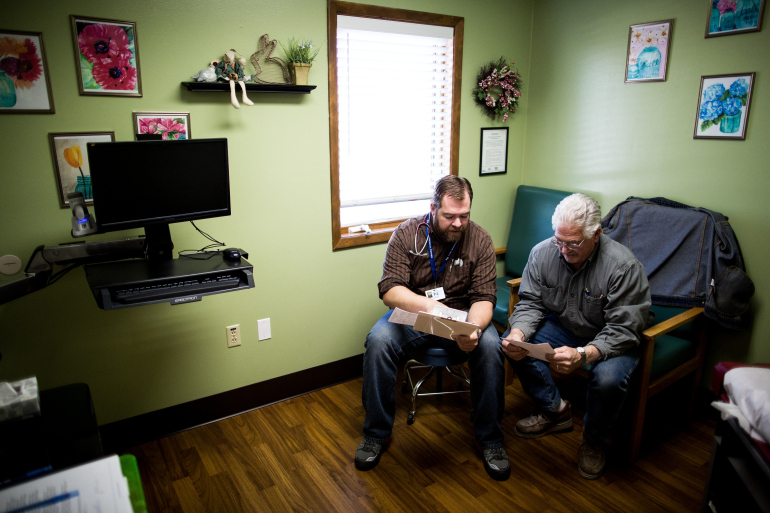 And some of the telemedicine and remote monitoring technologies require high-speed internet, which isn’t always reliable or cost-effective in rural areas. Telemedicine also may raise more questions than it answers for some patients, and even create a need for in-person follow-ups. Orie Browne, the medical director for Lost Rivers, said he tries to keep patients from having to travel. But if someone needs more advanced medical care — or a specialist that Lost Rivers doesn’t have — he will refer them to another hospital. The hospital has a helicopter pad, and patients with emergencies that can’t be handled at Lost Rivers can either be flown out by helicopter or transferred by ambulance. Browne, who took over as Lost Rivers’ medical director in 2015, said he was drawn to the outdoor activities in the area — and the variety of rural health care. He used to have a private practice in Idaho Falls and rotated into Lost Rivers for a week at a time. Now, he spends his days bouncing between the emergency room, the hospital inpatient beds and the primary care clinic. “That’s good for a person who gets bored easily,” he said. KHN’s coverage in California is funded in part by Blue Shield of California Foundation. Kaiser Health News, a nonprofit health newsroom whose stories appear in news outlets nationwide, is an editorially independent part of the Kaiser Family Foundation. You can view the original report on its website.